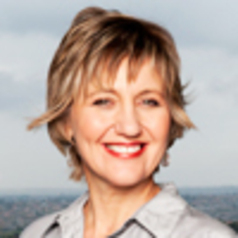 Glenda Gray, MBBCH, FCPaeds (SA), a paediatrician by training, is the executive director of the Perinatal HIV Research Unit and Research Professor based at the University of the Witwatersrand, South Africa as well as the Director of the Office of AIDS Research at the SA-MRC. She has done research in PMTCT, paediatric HIV, and HIV prevention including HIV vaccines and microbicides. She is the Co-PI of the HIV Vaccine Trials Network and Director of HVTN International Programs. In 2002, together with James McIntyre she was awarded the Nelson Mandela Health and Human Rights Award for pioneering work done in the field of Mother-to-Child Transmission of HIV-1. She is a member of the Academy of Science in South Africa, and chairs their standing committee on health. She is a member of the Institute of Medicine, of the National Academies, serves on their Global Health Board. Gray has also been awarded the IAPAC “Hero of Medicine” award for work done in the field of HIV treatment in children and adults. In 2009, James McIntyre and Gray received the N’Galy-Mann lectureship in recognition of their HIV research contribution in South Africa. In June 2012 she received a DSc honoris causa from the Simon Fraser University, Vancouver. She has also been admitted into the American Academy of Microbiology in 2012. In 2013 she received the country’s highest honour, the Order of Mapungubwe, granted by the president of SA for achievements in the international area which have served South Africa’s interest. Just recently she received the 2013 EDCTP’s Outstanding African Scientist Award.